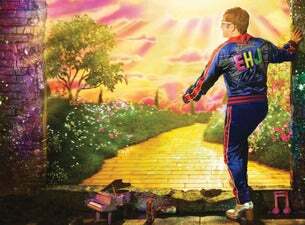 Music icon Elton John, will traverse Australia and New Zealand in 2019-2020, on his epic Farewell Yellow Brick Road tour. Between December 2019 and February 2020, the legendary performer will deliver his famed songbook to spellbound audiences, on his very last tour, playing across a mammoth run that includes Capital City concerts, along with stops at some of Australia’s finest outdoor venues. Elton John’s three-year Farewell Yellow Brick Road global tour has already been hailed as one of his most “energetic, dazzlingly-original and joyful celebrations”. Elton’s legendary catalogue, including beloved songs ‘Bennie and the Jets’, ‘Rocket Man’, ‘Tiny Dancer’, ‘Crocodile Rock’, ‘Philadelphia Freedom’and more are showcased in a musical masterpiece that is a “reflective and stunning tribute to a great artist’s career”(NME). Also celebrating his 50-plus year collaboration with lyricist Bernie Taupin - one of the great song-writing partnerships of all time.